Colombian food is very diverse, each region of the country having its own characteristic dishes. This wonderful cuisine offers dishes that have been handed down from generation to generation, influenced by not only indigenous Colombian culture, but Spanish, African and Arab cultures as well. Colombian food is versatile, rich, full of flavor, colorful and comforting. I know this not a comprehensive list, and I know that I’ve missed a lot of great and popular main dishes, but I had to pick my top 10 for this post. However, please post a comment with your favorite traditional Colombian main dish to share with everyone! 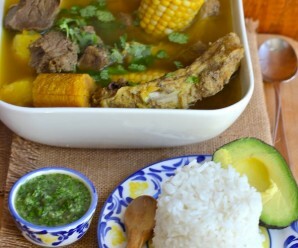 I didn’t include soups in this list because I already have a post on the site titled “10 Must Try Traditional Colombian Soups“. If you missed it, just click here. 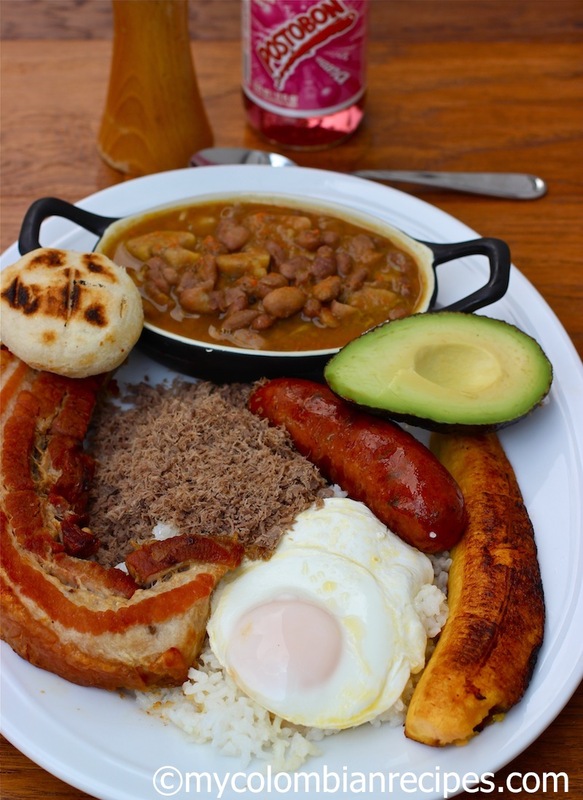 Here is my list of the top “10 Traditional Colombian Main Dishes You Must Try”. Try one or try them all and bring a taste of my beautiful country to your home. Buen provecho! 1. Bandeja Paisa: This platter is probably the most popular Colombian dish, originally from the Andean region of the country where the people are called “Paisas” and the area where I was born and raised.See recipe here. 2. 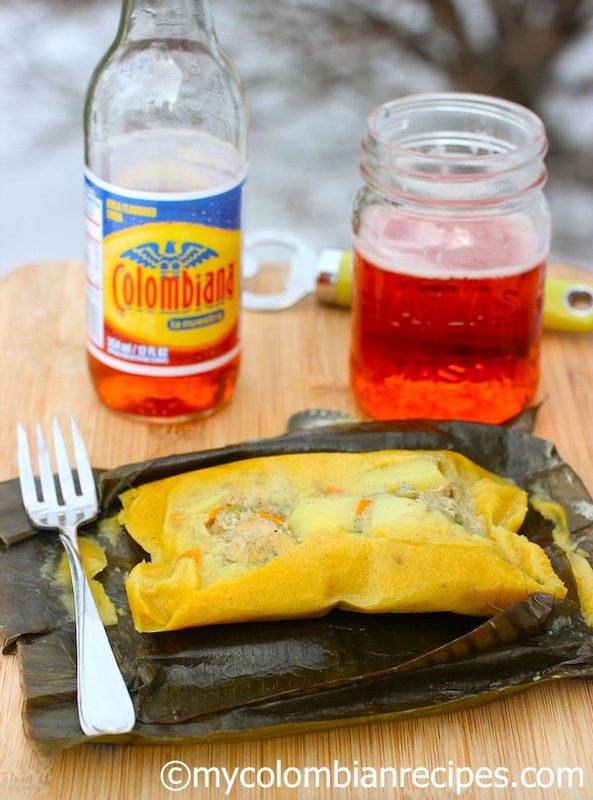 Tamales: There are many variations of tamales in Colombia, but they all have something in common and that is that Colombian Tamales are all wrapped in banana leaves.See recipe here. 3. 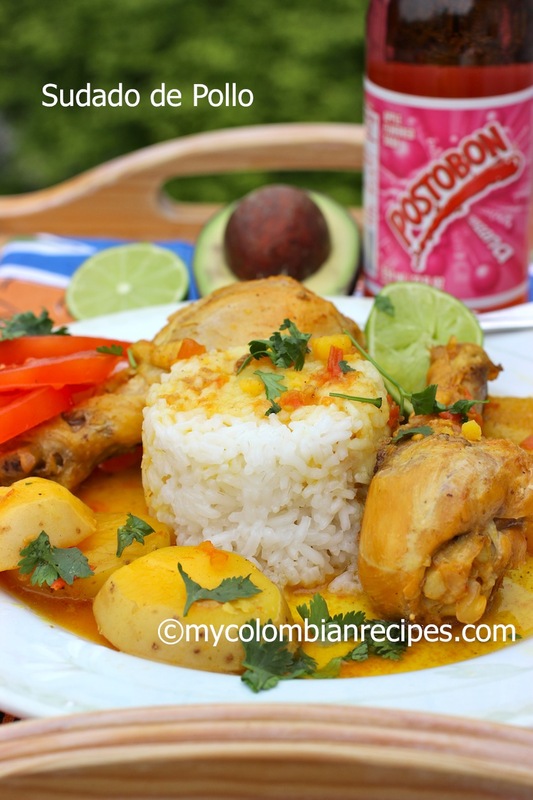 Sudado de Pollo: This chicken stew is one of the most popular dishes in Colombian homes. It’s delicious served with white rice on the side which soaks up the flavorful sauce.See recipe here. 4. 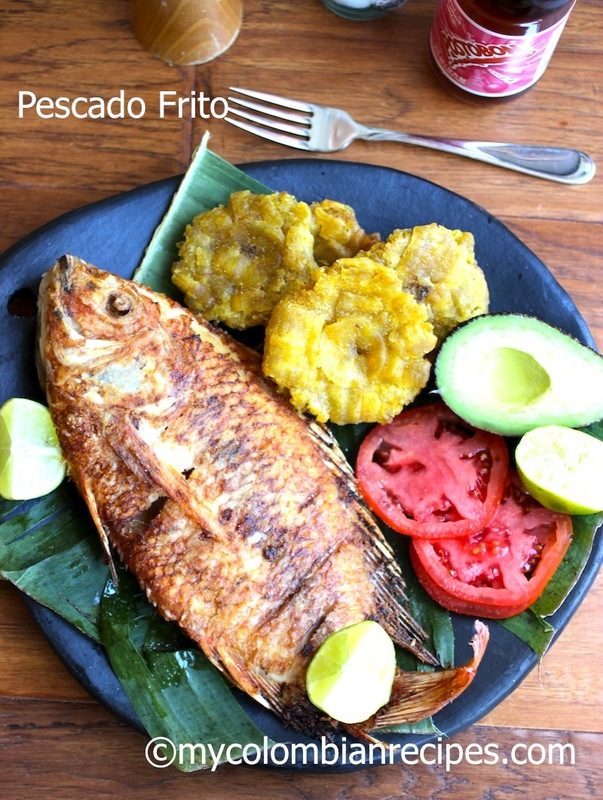 Pescado Frito: This Colombian-Style Fried Whole Fish is a very popular dish from the coast of Colombia. Some of the most popular fish in Colombia used to make this dish are: red snapper, mojarra and tilapia.See recipe here. 5. 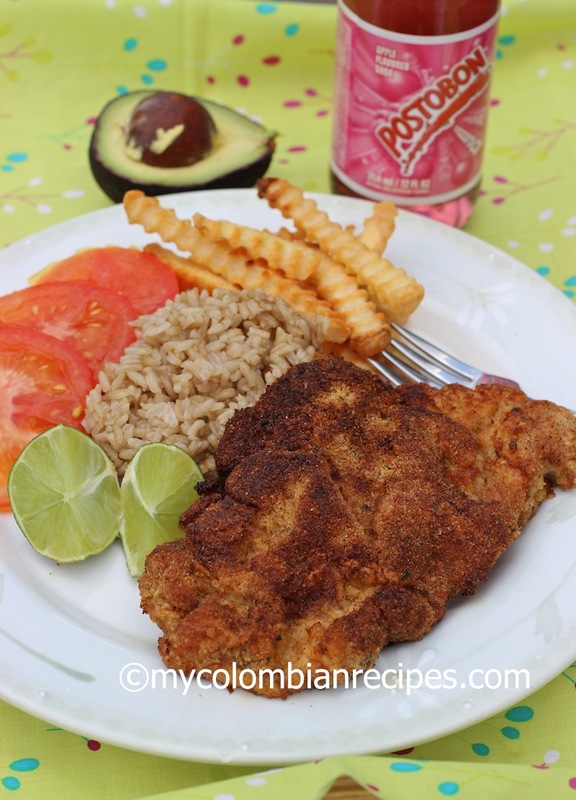 Chuleta Valluna: This pork milanese is one of the most popular dishes in Colombian Restaurants. 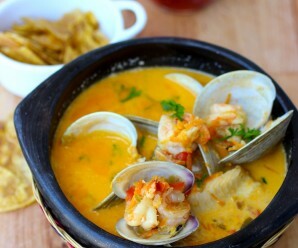 This Chuleta Valluna is a traditional dish from El Valle department of Colombia.See recipe here. 6. Lechona Tolimense: This is a traditional dish, originally from the Tolima department of Colombia and is often served on special occasions. This popular dish consists of a whole pork stuffed with rice, peas, potatoes and spices, cooked in a brick oven for about ten to twelve hours.See recipe here. 7. 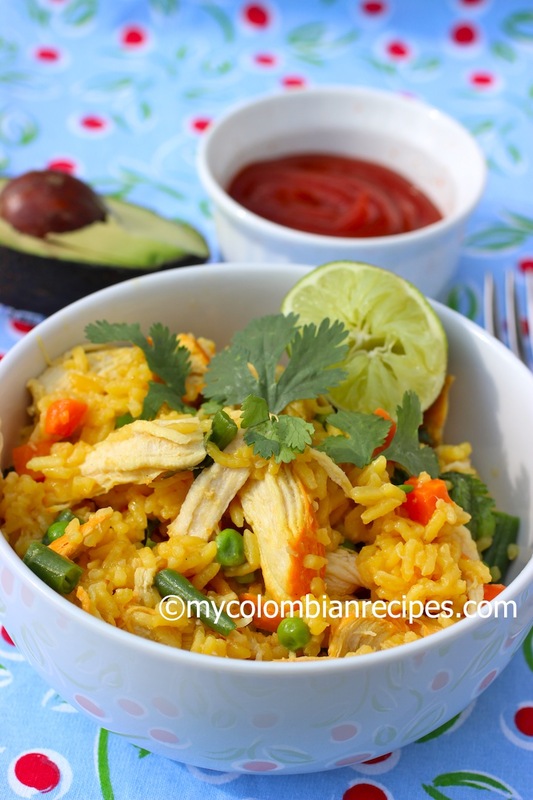 Arroz con Pollo: This was one of my favorite dishes growing up. My mom would make it at least once per week for lunch. 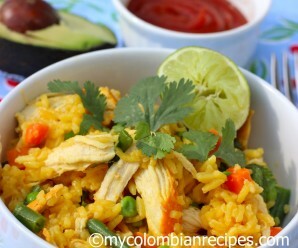 Rice with chicken is one of the most popular dishes in Colombia and South America, but every country has their own variation. 8. 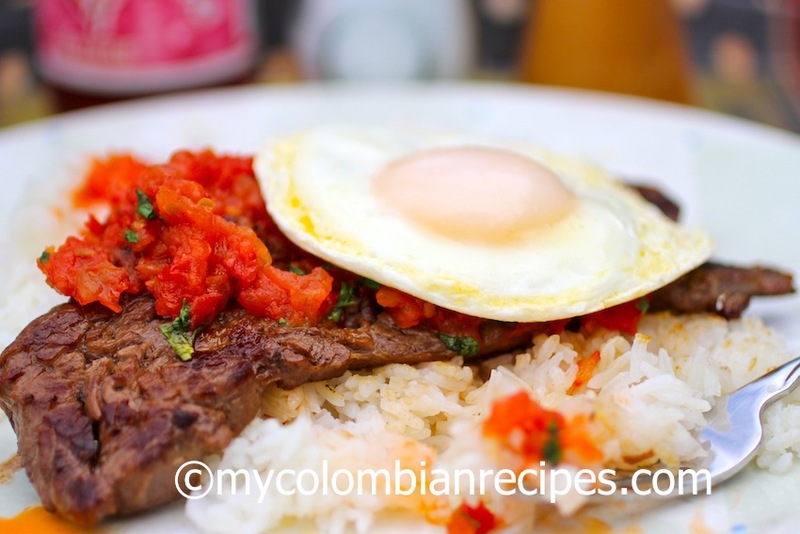 Bistec a Caballo: This is a very simple and flavorful dish. It is basically a piece of steak with a tomato and onion sauce, topped with a fried egg.See recipe here. 9. 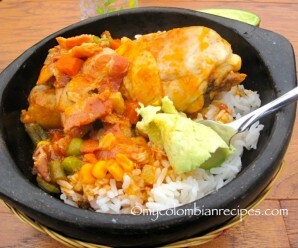 Arroz Atollado: This is a typical rice and pork dish from the Colombian region ” Valle del Cauca”. It’s perfect to feed a crowd.See recipe here. 10. Puchero Santafereño: This dish is named after Santa Fé de Bogotá, the capital of Colombia. 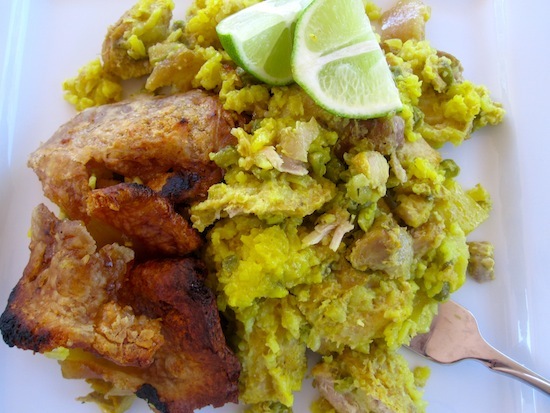 Puchero is a dish that originated in Spain, as is the case with many other Colombian dishes. 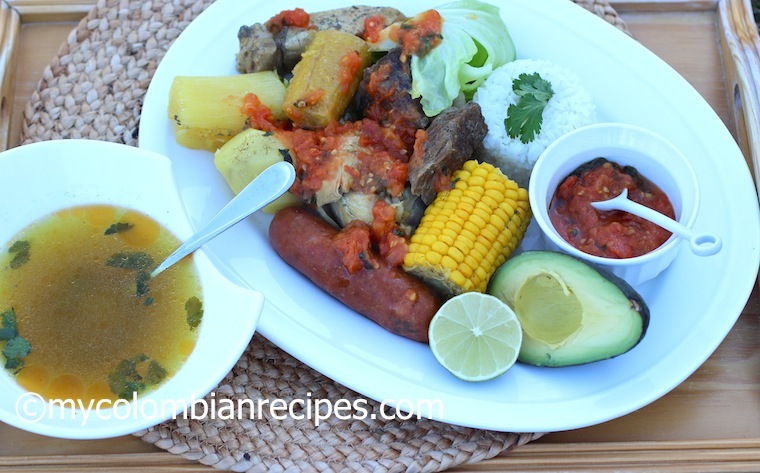 Puchero Santafereño is a hearty and filling stew that usually includes beef, chicken, pork, plantain, yuca, potatoes, corn, chorizo, and cabbage.See recipe here. For me the two favourites are Ajiacco Bogotano and Frijoles Antioqueño, followed closely by Trucha a la plancha Aquitania-style freshly caught in Laguna de Tota. All looking very good, but first, I’d like to try number 6! I wish I could taste every single one! you can make it yourself. I would enjoy every one of these dishes! Great list and it all looks wonderful. I can tell you right now that the first thing I’ll be trying is the steak with the egg on top. Pinning this post. Great list, I’m from cartagena, colombia. I can tell you that my personal favorites are bandeja paisa and of course pescado frito but like you love el Arroz con pollo, my mom used to make it all of the time for us. Well now you know why the Colombian people look so great! We are what we eat so, Eat Good! My wife and I retired to the northern part of Ecuador and there are many Colombians here, thus, a lot of Colombian food. Do you have a recipe to make Colombian Chorizo. It is much different than the chorizo in Ecuador. I find the chorizo here is just not quite the same in sancocho. One would think I could buy it here but that is not the case. Thank you in advance. I will post a recipe soon! Thank you so much for your post! My fiancé is Colombian and I’m trying to learn as much as I can about his heritage for him (and the sake of our future children). But right now I just want to surprise him by cooking him a traditional Colombian meal. Could you please recommend some dishes that would make up a dinner or point me in the direction of where to look (lol)? He was actually adopted into a German heritage family as a new born so there aren’t any family recipes haha! As much or as little help as you would like to give will be extremely appreciated. Thank you for your time. I think these dishes sound fabulous like totally they sound amazing if I ever go to Colombia i’m going to try all of them THANKS FOR THE HEADS UP!!!!! Great list of food , but I want to try the puchero santafereno sounds interesting. Because there are several variations, you didn’t give a recipe for Aroz Con Pollo? Or did I miss something? My comment is that all those food looks so dilishis that I want to go to colombia. Hi – my boutfriend is a Colombian from Cali and I’d love to surprise him by making a meal based on dishes from his region. Are you able to give me a few dishes that would typically be eaten in Cali that I can make? Many thanks! 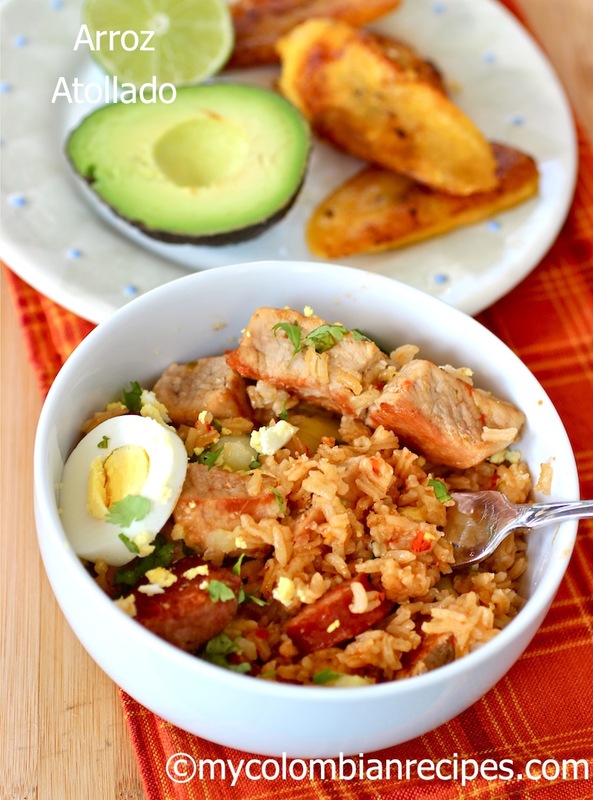 Hello there, is there a link for the arroz con pollo? Thank you in advance.